Nutritionist Pooja Malhotra reveals that some diet tips promise quick weight loss but at the cost of your health. 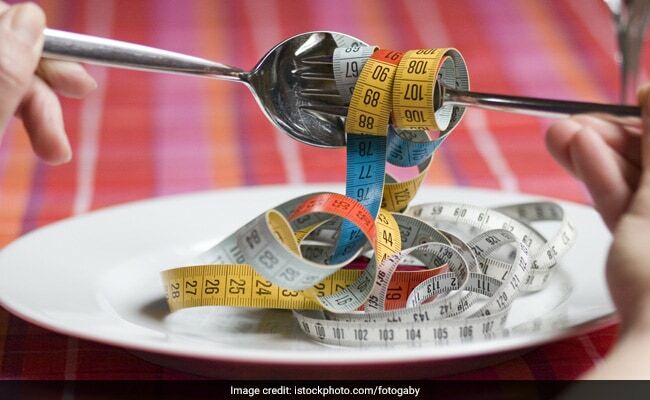 Here's a list of 14 such diet tips which could be compromising on your health in the name of weight loss. There is a plethora of diet advice coming from all quarters, though only a fraction of it can hold its ground. Yet, when you are desperate to shed the extra pounds, it is easy to fall for every bit of advice and all sorts of 'weight-loss secrets' that come your way. It's very important to have the discretion to determine if the advice is worthy or not. It is true that refined grains can lead to obesity, insulin resistance and metabolic disorders. However, the same is not true for complex carbs. So replace your refined grains with whole grains and minimally processed products. It is also important to watch out for the total quantity of carbs and plan balanced meals. However, eliminating one food group completely from your diet is detrimental to health. It is not sustainable and certainly not a good way to lose weight. Fat performs various essential functions in the body. All fat is not created equal. So the fat in chips, cookies, bakeries etc is fattening. However, the fat in nuts, seeds, avocadoes, and fatty fish is not fattening, in fact it is beneficial for your heart and overall health. Obsessing over any one nutrient doesn't make sense. When you do that, you are ignoring some other nutrient. When you load up on protein, you are missing out on the fiber and antioxidants present in whole grains. It often leads to constipation. With high protein, you also run the risk of eating too much fat. Skipping breakfast to save calories for later is probably the worst diet advice as people end up overeating for lunch and dinner. Research supports that people who have successfully lost weight regularly eat a wholesome breakfast. Human body has organs (liver and kidneys) dedicated to the task of detoxifying every single day. There is no need for special cleanses, detox juices and surviving on practically negligible calories. It may result in temporary weight loss, which will come back as soon as you go back to your diet; it will simply wreak havoc on your health. However, you can do your own version of a detox diet by cutting out on alcohol, caffeine, processed foods and other such items. All calories are not created equal. The nutrients accompanying those calories determine the effect of those calories. 100 calories coming from a fruit will have a different impact than 100 calories coming from a pastry. Going gluten free has become the latest fad with every other person blaming gluten for not losing weight. Gluten must be avoided if necessitated by intolerance or allergy. Cutting gluten can lead to deficiency of fiber, iron, B vitamins, magnesium etc. Instead, give up on refined grains and include whole grains. If you exercise on an empty stomach, you will end up burning your muscles. Instead opt for naturally sweet fruits like a banana, mango or papaya as your pre-workout meal. Some people will either do everything (diet as well as exercise) or do nothing. The idea is to be able to strike a balance, to be able to occasionally indulge and to exercise atleast 3-4 days in a week. Also read: Weight Loss: What Is More Important For Weight Loss - Diet Or Exercise? Cooking foods has its own benefits. It kills germs, makes food easily digestible and palatable. Some foods are best eaten raw, however a majority of foods require atleast some cooking. Adopt safe cooking practices that don't turn your food toxic and result in minimal nutrient losses. An occasional cheat meal is alright. However, a cheat meal shouldn't become a cheat day or cheat week. It will offset whatever success you achieved so far. 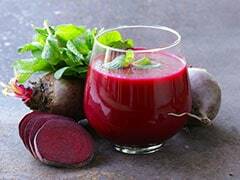 Juices must be avoided as they are usually high in sugar, and do not have the same satiety as the whole fruit or vegetable. When you eat the fruit/ vegetable, you also consume the fiber that fills you up. So never drink your fruits/ veggies, eat them. Focusing on a single food distracts you from adopting an overall healthy lifestyle. Superfoods can be beneficial if included in an overall healthy plan, but never in isolation. A diet soda cannot satisfy your sweet cravings as the brain is smart enough to detect that the sweetness is not coming from sucrose. Artificial sweeteners have been associated with a high risk of metabolic disorders like diabetes as well as heart diseases.